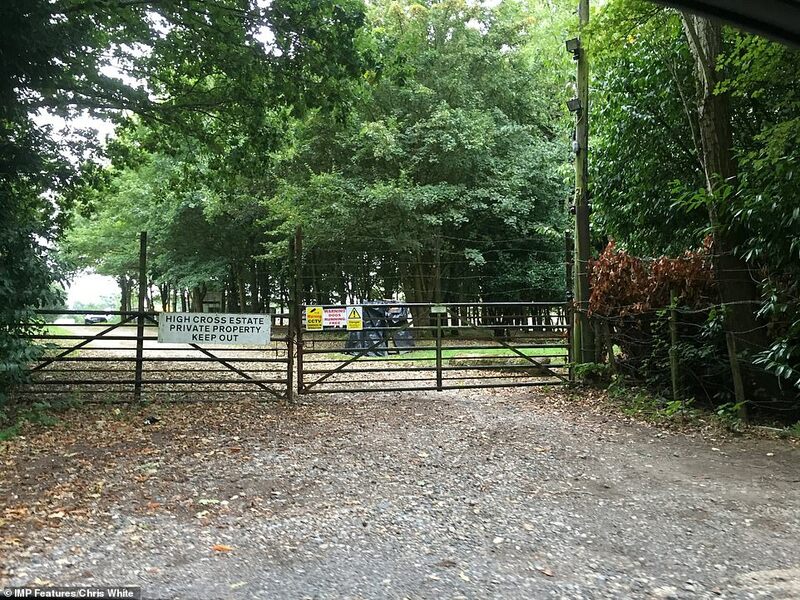 A £40 million mansion home left to rot for 33 years by a friend of Robert Mugabe remains dilapidated two years after he slammed ‘peasants’ who complained about its condition. 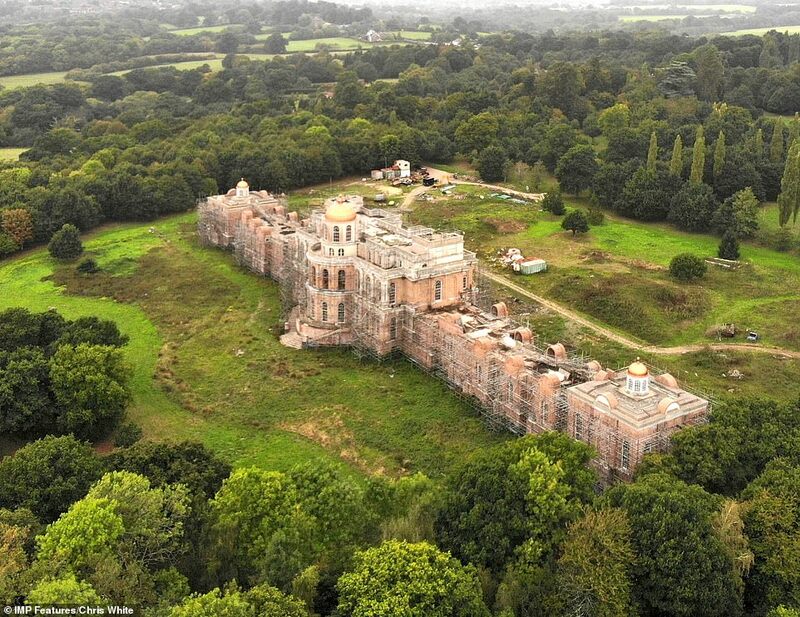 The Hamilton Palace property and grounds is set amidst rows of lush trees and resplendent greenery, but has been dubbed the Ghost House of Sussex by disgruntled locals. 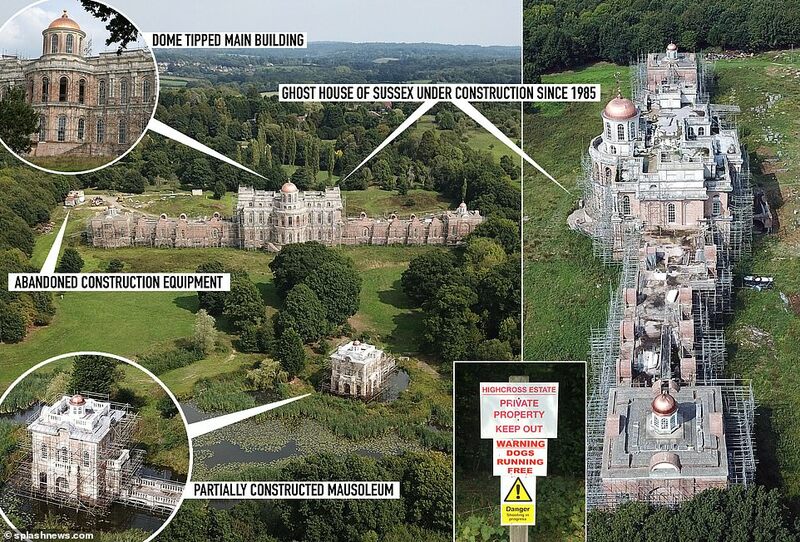 Notorious slum landlord Nicholas van Hoogstraten – who is a personal friend of ex-Zimbabwean despot Robert Mugabe – has been building the £40 million palace, replete with golden-domed mausoleum, near Uckfield in East Sussex, since 1985. 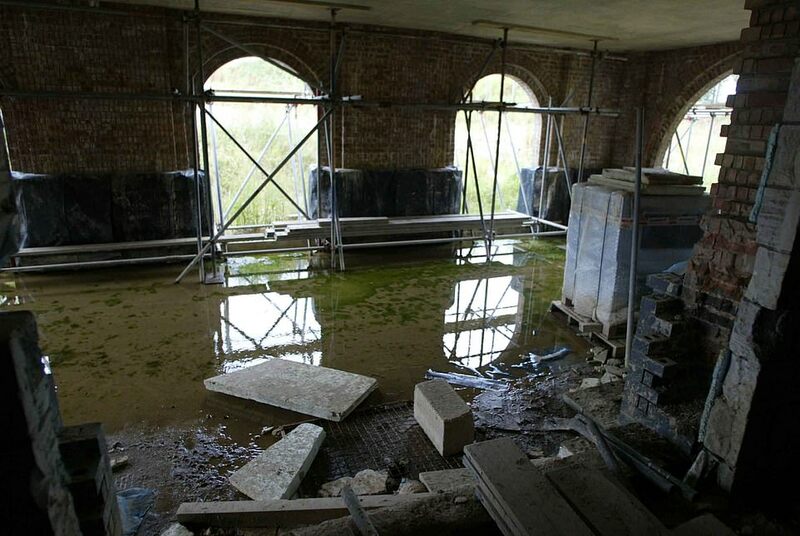 Locals have continually vented their anger at the incomplete and rotting property, despite the works starting more than 30 years ago. 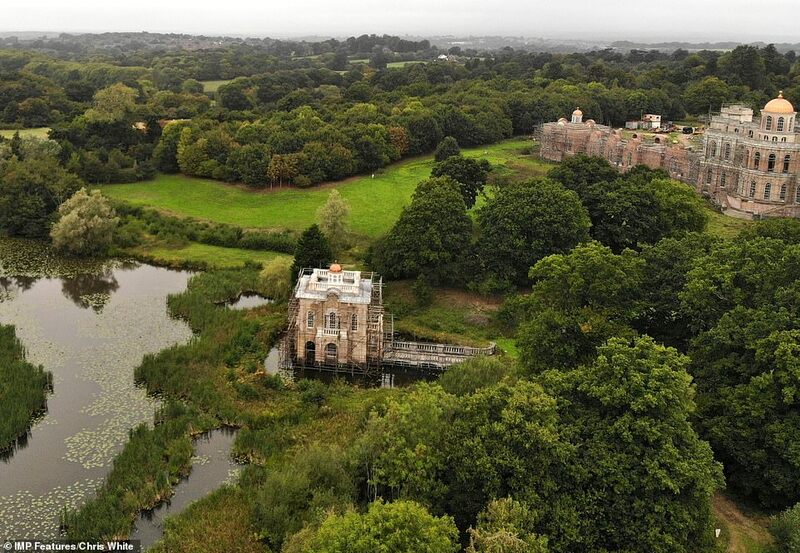 But images and aerial footage secured by MailOnline show the spectacular pad is still in a dire state, with the enormous property covered in scaffolding and the grounds unkempt and messy, with containers littering the back lawn. It has been two years since the last images were taken of the property and very little seems to have changed, with builders nowhere in sight. Scaffolding still adorns the main building, and smaller side builder near the lake and the main grounds look uncared for. 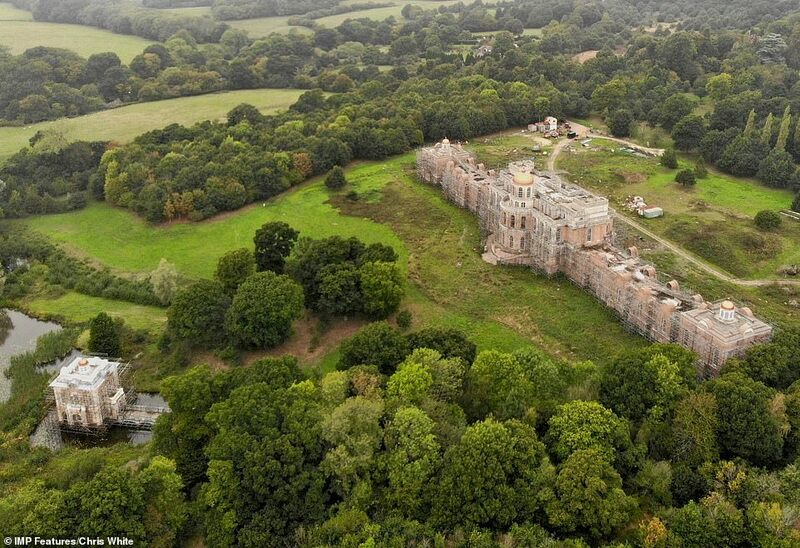 The property magnate previously dismissed criticism that the building was falling into disrepair and said it would last for thousand of years. 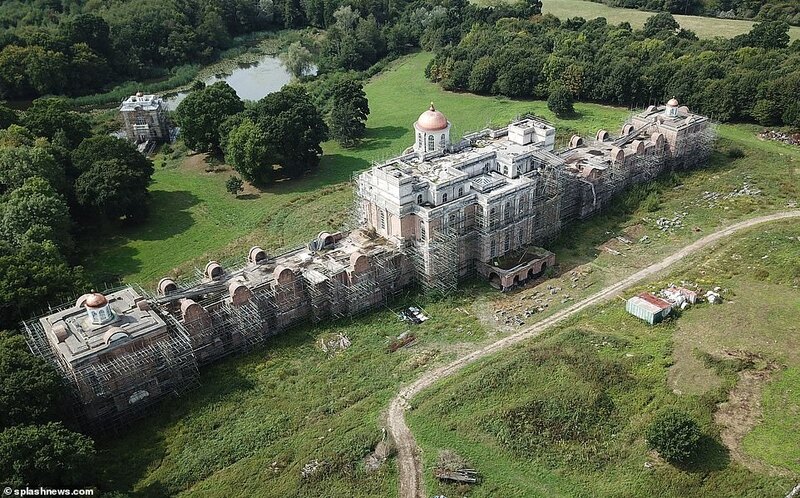 ‘Hamilton Palace is far from ‘crumbling’ and was built to last for at least 2,000 years. The scaffolding only remains as a part of ongoing routine maintenance such a property would require until completion,’ he claimed. Hoogstraten also previously ruled out letting the building be used to house the local homeless community. He said: ‘The ‘homeless’ – the majority of whom are so by their own volition or sheer laziness – are one of the filthiest burdens on the public purse today. 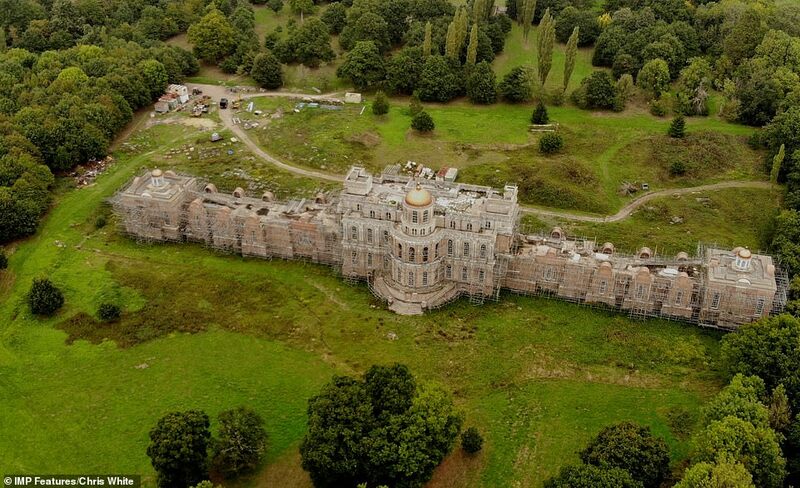 ‘The chance of my offering an opportunity for them to occupy Hamilton Palace is just ludicrous. Hoogstraten made his fortune as a slum landlord in Britain but is better known for his court case regarding the gruesome gangland slaying of a business rival Mohammed Raja, who was stabbed five times before being shot in the head at his home in south London. In 2002, van Hoogstraten was convicted of manslaughter over the death of Mr Raja and jailed for 10 years, but the verdict was overturned on appeal. Three years later, Mr Raja’s family was awarded £6million in a civil case after the High Court ruled that, on the balance of probability, Van Hoogstraten had been involved. In a ruling in 2005, Mr Justice Lightman found that van Hoogstraten recruited two thugs to murder Mr Raja over a lawsuit between the two. 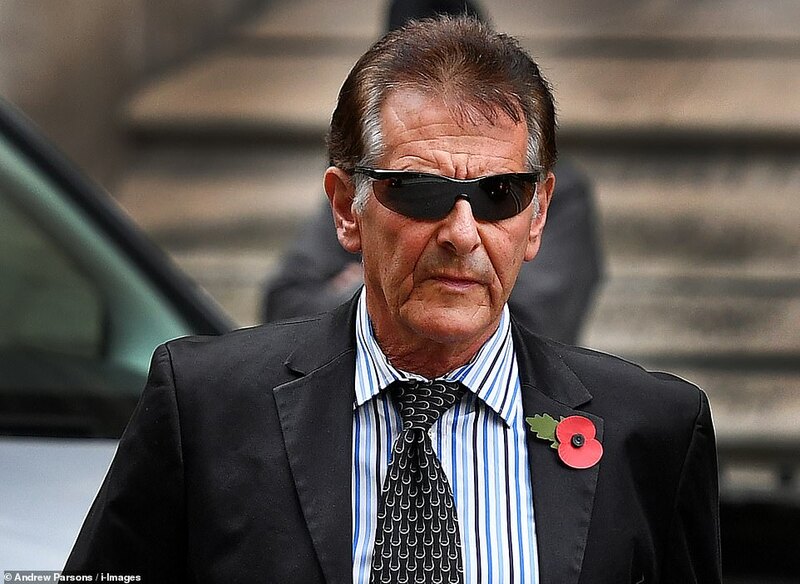 Another High Court judge in November 2016 ordered van Hoogstraten, now 71, to pay the family £1.5million in legal costs that have still not been paid to the family. Once described by a judge as a ‘self-imagined devil who thinks he is an emissary of Beelzebub’, Hoogstraten was born in Bognor in 1946 and as an 11-year-old schoolboy started selling stamps to noted collectors. It later transpired that the young Hoogstraten, who claimed to have a stamp collection worth £30,000, had hired classmates to steal the stamps for him from specialist shops. By the time he was 14, he had taken to wearing a suit to school and would excuse himself from lessons to sit in an empty classroom, where he would read the Financial Times and attend to business deals. As a teenager, he started a loan-shark business that saw him take property deeds as collateral for loans. He also ran nightclubs in Brighton and once called Rod Stewart, the rock star, a greedy ‘little runt’ in a row over takings. He also picked up a conviction for organising a henchman to throw a grenade at a priest, as well as the 2002 conviction for manslaughter for the killing of Mr Raja. 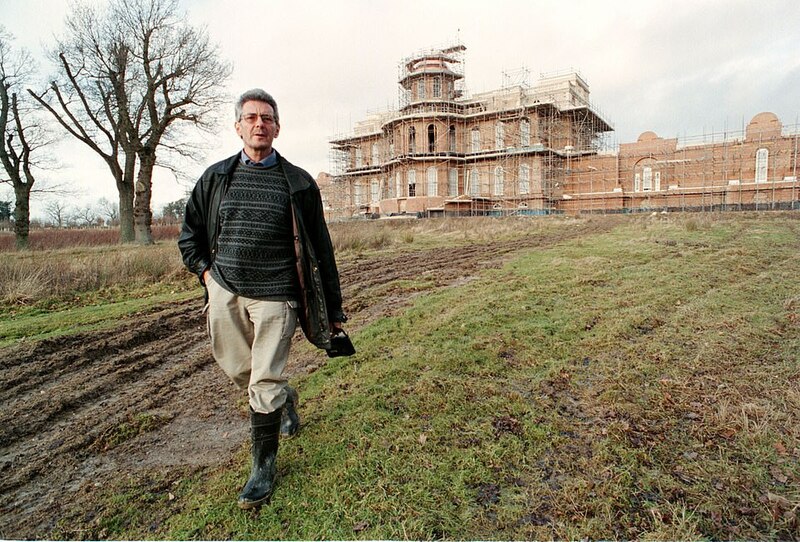 Van Hoogstraten bought an estate in Zimbabwe aged 19 in 1964. But 2013, he owned 1,600 square miles of land in the country. He once boasted of being a philanthropist, claiming that he paid for the education of three children in every school in Zimbabwe. In 2008 van Hoogstraten was accused in Harare of demanding rents in US dollars rather than in Zimbabwean dollars, which is forbidden by law. A court dismissed the charges. 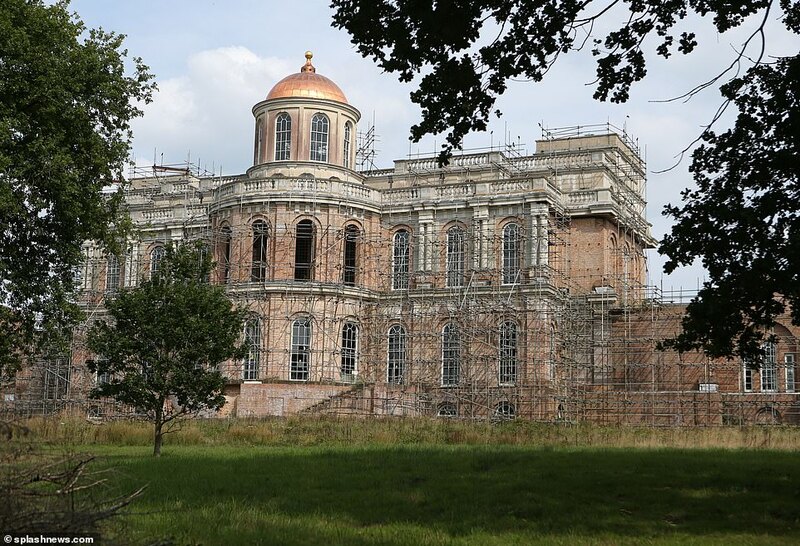 Hamilton Palace is now thought to be owned by Messina Investments, which is run by Mr van Hoogstraten’s four eldest children – Maximilian, 30, Alexander, 28, Britannia, 25, and Louis, 25. They share the surname Hamilton and were handed control of their father’s investments and companies in 2002 after he began a prison sentence for manslaughter. Maximilian (whom his father originally liked to call Maxi-million) is by Rosemary Prouse, daughter of a former tenant, with whom he also has daughter Britannia. His other two sons, Alexander and Louis are by Nigeria-born Caroline Williams. They are followed by Orrie, Mr van Hoogstraten’s teenage son by Agnes, a Cannes-based ex-mistress who also has an African heritage. Finally, he has a six-year-old son by a fourth mistress, Linda, and has named him after Cecil Rhodes, the imperial adventurer.